This is happening! 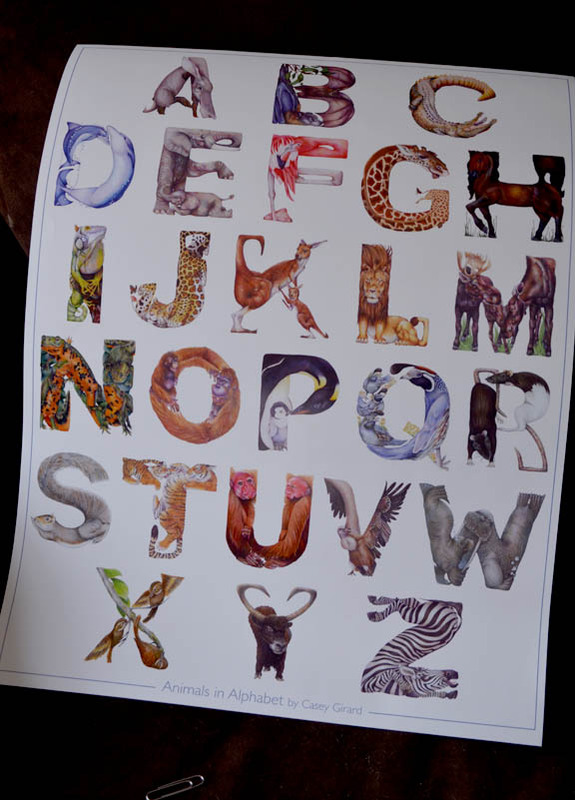 I am getting an 18 x 24 inch poster printed of the Animals in Alphabet. Today, I got to see a proof! Thank you Geno! More news to come on when they will be for sale. Today I am jumping up and down, with caution as my left arm is all out of sorts. I’m going to have to start stretching before I do handstands and the worm; how I usually celebrate when I’m excited.